I can’t help but take a moment and share with you part of tonight’s supper (I promise to share more later). It was a basic meal for after a long day, yet one that was delicious and tasty. The Italian in me (which there is none, but some of my favorite dishes are) was quite excited to give Tuttorosso Tomatoes a chance to star in tonight’s supper. With a touch of parmesan cheese, this meal was tasty and just the right taste for the evening. Greg gave it a thumbs up. The sauce loved that it was going to mix up with the other ingredients–it even “danced” as I poured it in the pan! 😉 I tested out the sauce before adding it to the mix just to be fair, and I have to say, it was one of the freshest tomato sauces I’ve ever tried. It also went beautifully with the rest of the recipe I pulled together. 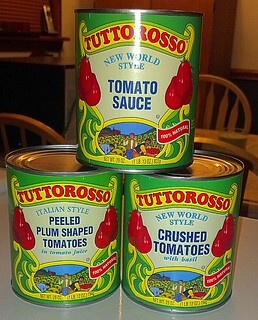 I was sent three different Tuttorosso Tomatoes products to try, and have great ways to use all three in my kitchen. Beyond the fact that these canned tomatoes are tasty (just like they are fresh from the garden without the work! ), Tuttorosso (a division of Red Gold) has lots of ways you can connect with them. Their website http://www.tuttorossotomatoes.com has plenty of recipes (easily searchable by the product you purchased or category (like my favorite, 30 Minute Meals). Plus, there is the Tomato Blog featuring recipes and cooking advice. For those of you who like to connect with companies on Social Media, you can “Like” them on Facebook (and enter to win each of their daily giveaways between now and December 22–must enter each day!). Personally, I don’t often spend much time on company websites because I like to get what I need and move on, but I enjoyed spending time on the Tuttorosso site because it was so full of information. Next time you are looking for a delicious tomato dish, find Tuttorosso Tomatoes and give them a try. Disclaimer: Tuttorosso sent me 3 products and a gift pack in exchange for this review. All opinions (and happy belly) are 100% my own. This entry was posted in Dinners, Foodie Stuff, Product Reviews and tagged Pasta Recipe, recipes, Tomato Sauce, Tuttorosso. Bookmark the permalink.